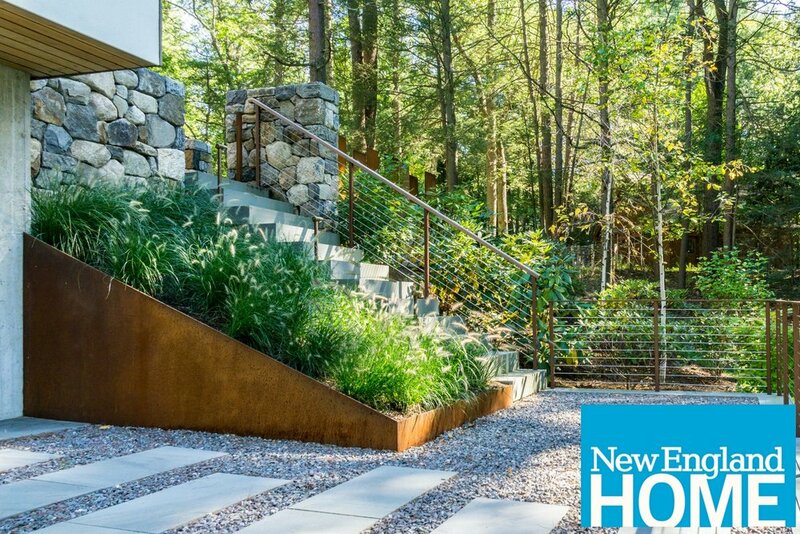 Kimberly Mercurio Landscape Architecture's contemporary design from Lincoln, MA was featured in the 2018 March-April edition of New England Home magazine. Kimberly Mercurio Landscape Architecture was recently featured in the Boston Globe for a residential landscape design project. The Cape Cod Summer issue of New England Home magazine, published in June 2015 features the work of Kimberly Mercurio Landscape Architecture. 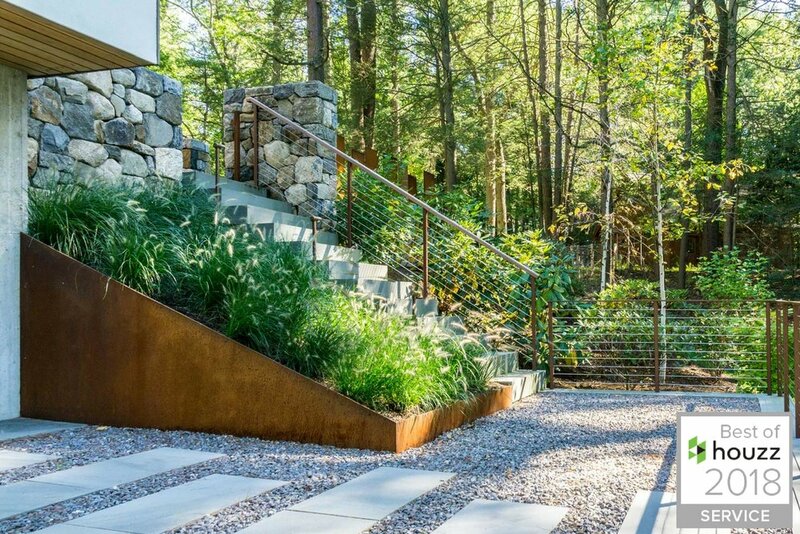 Design New England interviewed Kimberly Mercurio on indigenous plantings and reclaimed materials used in the design of a project.